When a Jewish revival began in Cuba in 1991, eight-year-old Monica del Pino was ready and waiting. From 1959 until that day, the small group of Jews who remained in Cuba—just six percent of the pre-Revolution population—had accustomed itself to keeping a low profile. But when the government eased restrictions on religious practices in 1991, Federation partner the American Jewish Joint Distribution Committee (JDC) swept in to meet an eager community, including a very eager Monica. She jumped at the opportunity to enroll in one of Havana’s new Sunday schools in the renovated Beth Shalom Synagogue and Patronato Community Center. Other Jewish communal programs, many supported by JDC, were there for her at each step: Maccabi Cuba Youth Organization activities, a Taglit-Birthright Israel trip, a visit to her family’s old village in Poland through March of the Living and, her personal favorite, Israeli folk dancing. Today, Monica is a married and the mother of a three year old, but she still competes in Israeli dance troupes at home and around the world. JDC has been working with the Cuban community for the past 25 years to build a solid Jewish infrastructure. Among the fruits of their collective labor are a pharmacy at the Patronato that benefits Jews throughout the island, Shabbat dinners at each of the country’s five synagogues, youth camps, a bar/bat mitzvah study program and visiting rabbis who teach and perform lifecycle events. 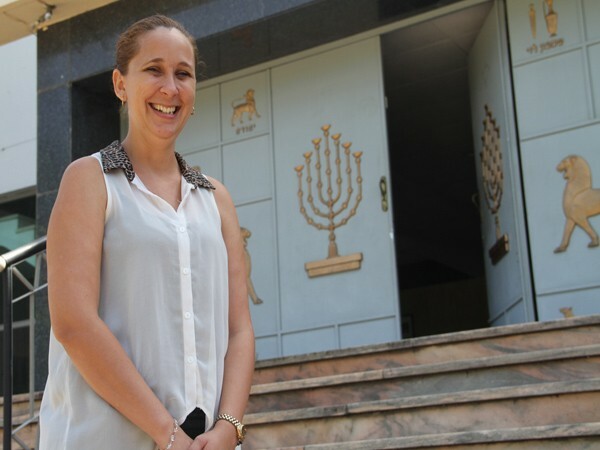 “Cuban Jews have been working hard to keep Judaism alive in Cuba,” Monica says. She would know. She’s not only teaching children at the same Sunday school she attended, she’s putting her degree in computer engineering and information technology to work for the community, overseeing the Jewish library at the Patronato, serving as assistant to the community’s president and helping support smaller communities in the country’s central and eastern provinces.